I was recently made aware of Cervical Cancer, the 3rd most common cancer to occur to Malaysian women D= It is caused by the human papillomavirus (HPV) but good news is that.. 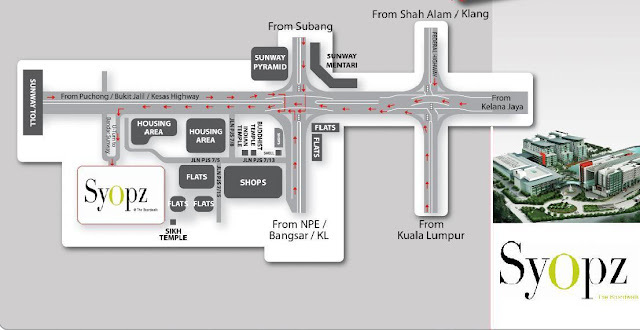 However, now the Population and Family Development Board Malaysia (LPPKN) under the prevision of Ministry of Women, Family and Community Development (KPWKM) is offering the vaccination free of charge. Every person who finishes all 3 doses will get a free pass to a concert next year! 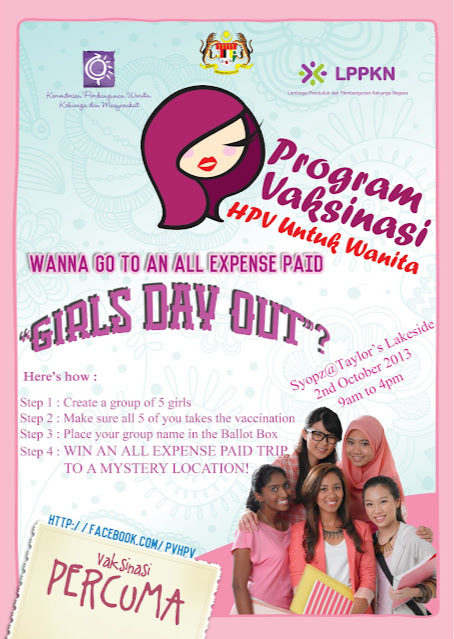 That's not all~~ If you gather your friends and come in groups of 5, you could win a Girls' Day Out! >.< over the age d.. i want free vaccin too..